WHAT HAPPENED TO ODAQ ISLAND? Odaq Island can be seen on most modern world maps, but two years after its discovery, it had completely vanished. Some have speculated that it was simply bulldozed away by moving ice, or a sheet of ice had been pushed over the island. The enormous force of sea-ice scraping against the shoreline can be observed on the tip of Cape Morris Jessup. There, huge mounds of gravel have been pushed up along the coast. 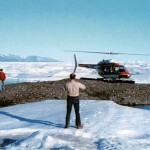 However, Dr. Skafte saw no signs of ice having been bulldozed against the shoreline of Kaffeklubben Island, the ATOW 1996 Island, and the Ultima Thule Island 2003. 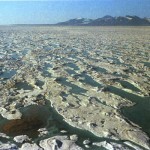 In Dr. Skafte’s opinion Oodaaq Island could be periodically flooded by dammed up melt-water. 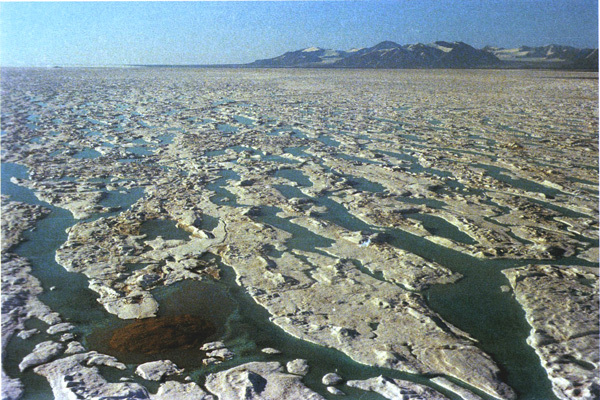 If the melt-water had not drained away during the previous summer, he deduced that the island must have been frozen below the surface of the ice. Furthermore, if a snowdrift was formed on top of the submerged island during the winter, the ice may not have melted in that area during a subsequent summer, thereby explaining Odaq Island’s 2-year disappearance. In the arctic, snowdrifts that form on top of an island will partially melt and then freeze into a hard sheet of ice that can actually hide an entire island for years. If conditions are favorable, then Odaq Island should become visible for a few weeks during July and August. 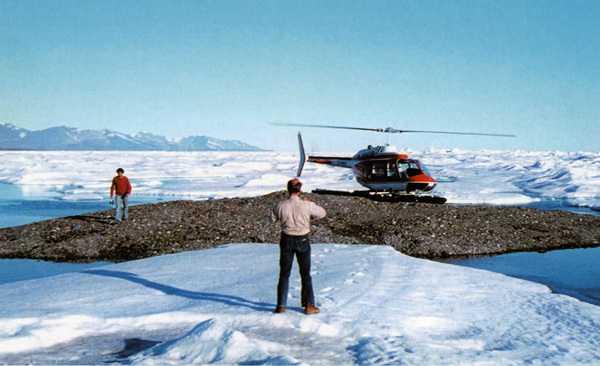 For example, when the Euro-American expedition traversed the sea-ice north of Kaffeklubben on July 6th, 2003 there were no signs of Odaq Island. Eight days later Dr. Skafte discovered that he’d inadvertently filmed the elusive island during an over-flight. Odaq Island had suddenly emerged from under the melting snow.